While several different kinds of garlic are available, one in particular is beloved by foodies and professional chefs: black garlic. 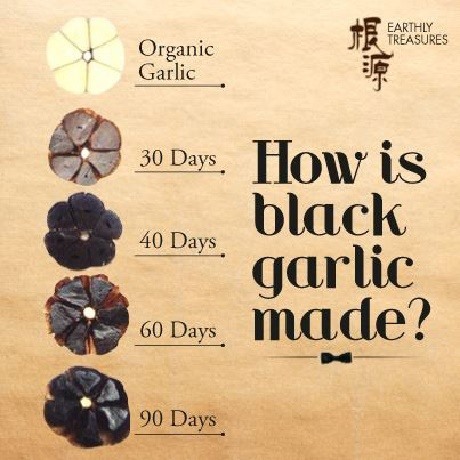 Black garlic isn't grown, it's created through a fermentation-like process that involves cooking the garlic at very, very low heat for days or even weeks on end in a closed container. No additives are used to create its rich, dark color and chewy dried plum-like texture. As the Nordic Food Lab describes it, "The process is not, strictly speaking, fermentative—the transformation is due not to microbial metabolism but in part to enzymatic breakdown (the heat denatures alliinase, the enzyme that converts non-volatile alliin into volatile allicin, the compound responsible for fresh garlic's pungency) and in part to the Maillard Reaction, a cascade of chemical reactions that produce the dark colour and complex, carmelised flavour." Black garlic is rumored to have its roots in ancient Korean cooking, and the Japanese are fans of the stuff, too. Many places say that it's a new superfood or is even more medically potent than regular garlic. While those claims are up in the air, what can be substantiated is the taste of black garlic: it's flat-out terrific. It's like garlic's better-mannered sibling: the rich flavor is still there, but the harsh aspects of regular garlic are gone. The fermentation process brings out other notes and flavors you didn't realize garlic had, like balsamic vinegar, caramel, and maple syrup. It can be eaten alone, on bread, or used in any of your favorite dishes, much as you would regular garlic. If anyone in your life dislikes regular garlic, try cooking with black garlic instead as a good alternative. 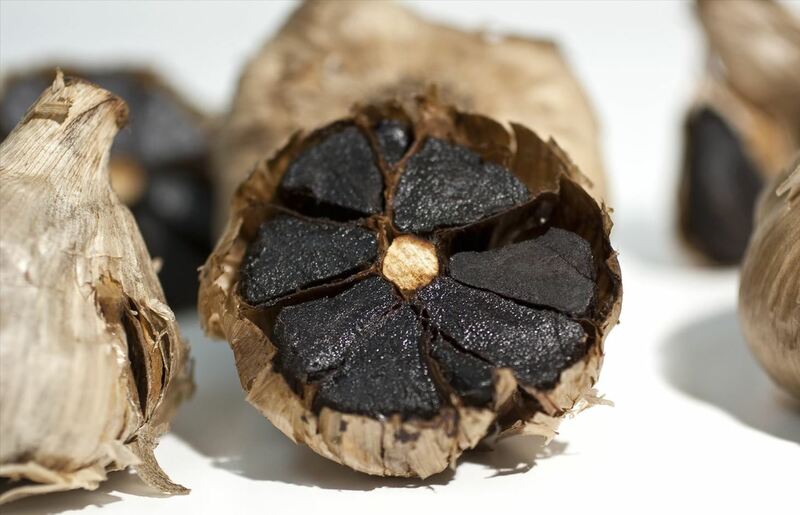 High-end chefs went crazy for the stuff when black garlic first appeared, probably because it was a pretty rare ingredient. Thankfully, it's now much more commonly available to the home cook. 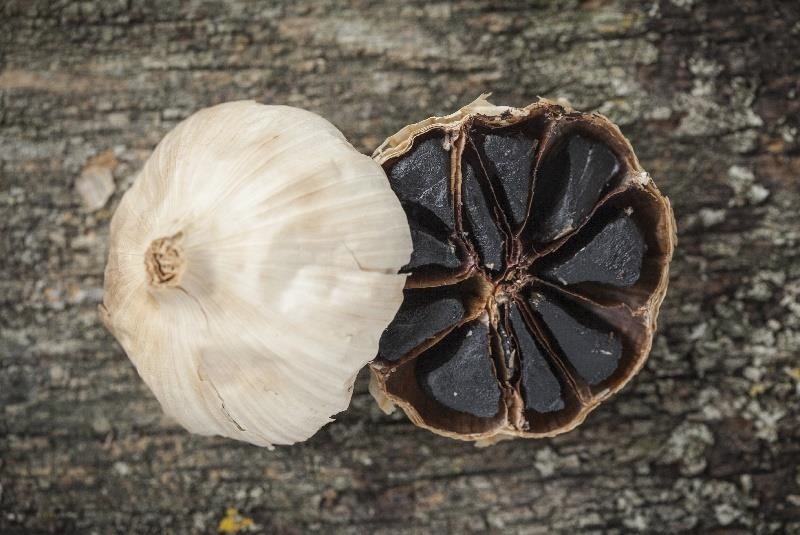 If you're interested in trying black garlic, you can order an organic version here (some Trader Joe's and other gourmet stores sell their own brand of black garlic, too). If you really want to go for the gusto, you can order a whole pound. If you're truly the DIY type, you can actually make your own black garlic, although it is a long and involved process. (You can actually use your rice cooker to make it, although the smell is supposedly pretty unpleasant no matter what you use.) The Nordic Food Lab also says that other alliums, like onions and shallots, work well when treated with the black garlic process.